Who is involved: The project is run by OCMW Kortrijk. In 2014 the Aalbeke project won an EFID award. 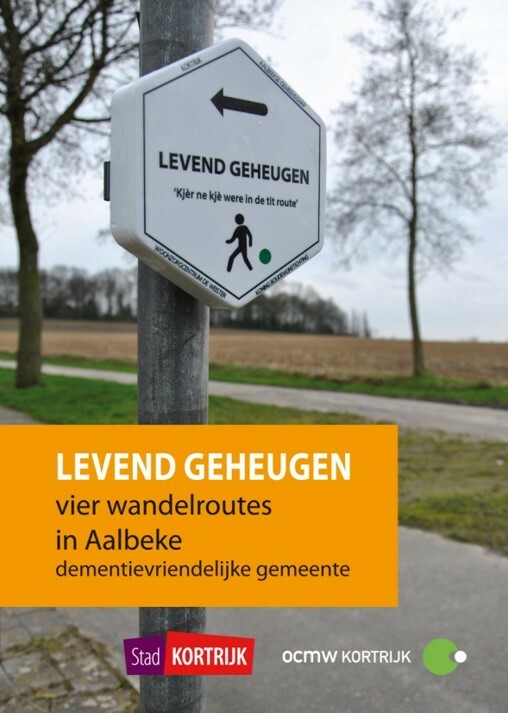 Nature of activity: The project consists of four walks with reminiscence points on them, for people with dementia who are residents in the De Weister nursing home. The walks are open to anyone to take part, which is seen as encouraging intergenerational dialogue. The aim is for people with dementia to become part of local daily life. 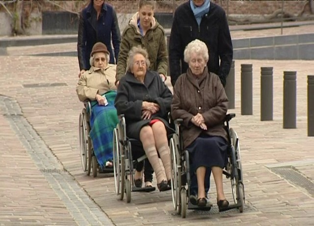 An educational programme is being organised so that people will understand the symptoms of dementia and the promenade. Four walks take place on slow roads with two or three stops where benches are available, and there is information about buildings or monuments nearby linked to events that happened in the past, so that people with dementia can relive that event and talk about it. The walks start and end at the nursing home, to encourage it to be more integrated into the local community. Work on accessibility for people with disabilities and families using buggies has included a wheelchair/buggy screening to identify bottlenecks such as narrow paths and the need to lower curbs. The promenade is built around four principles: reminiscence work; intergenerational work; improving mobility and accessibility; and integration into village life. The Aalbeke signs were made by local unemployed people wanting to develop more skills and contribute to the community.